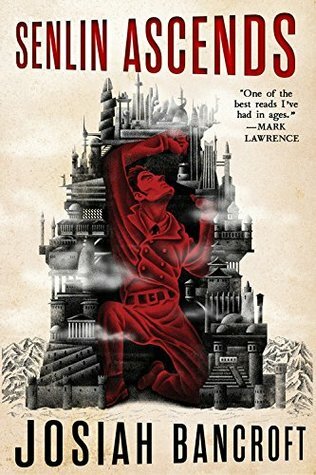 Senlin Ascends is an astonishing book, but not an easy one. The worldbuilding is incredible, and Bancroft’s Tower of Babel must rank up there with the best of literary wonderlands. It’s an intriguing concept, a tower which scrapes the sky, built of many ‘ringdoms’. Each level of the tower is its own little microcosm of life, each one startlingly different from the last, yet linked together by the tale of the titular Thomas Senlin on the hunt for his missing wife. Thomas and Marya are honeymooning at the Tower when they are separated in the throng of tourists in the market which skirts the tower’s base. Thomas hopes that she will make her way to their hotel on the third floor, so sets off in pursuit. What follows is one of the… odder stories I’ve read for a very long time. I must confess that I struggled a little with the beginning of Senlin Ascends. The style takes a little getting used to, and it wasn’t quite what I was expecting (though I’d hesitate to say exactly what that might be). A case of the wrong book at the wrong time, perhaps, as I picked it back up again recently and ploughed through Senlin’s ascent at quite a rate. It’s easy to empathise with Senlin’s quest, though I found myself wanting to tell him to stop faffing about quite so much and get on with tracking down his beloved Marya rather than having quite so many interesting (though time-consuming) adventures! Senlin is a fascinating character, though initially one which it’s rather hard to actually like. He does grow on you over the course of his ascent, and by the end of this, the first book, you find yourself rather rooting for him in his quest. Handily book 2 arrived just this morning, so I don’t have *too* long to wait. Huge thanks to Nazia Khatum (@gambit589) and Orbit Books for the review copy of Senlin Ascends and The Arm of the Sphinx. Keep your eyes peeled for a review of that soon!